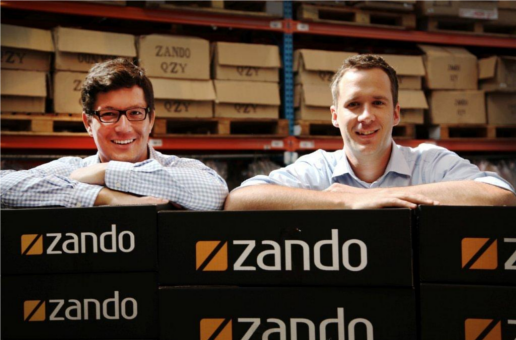 Zalora, Zando and Namshi are the latest Rocket Internet-backed fashion e-commerce companies to receive backing from JP Morgan. All three deals are either confirmed or understood to be in the double-digit million dollar range. The deals, all announced this week, follow JP Morgan’s recent investments in fashion companies Zalando (Europe), Dafiti (Brazil), Lamoda (Russia), The Iconic (Australia) and Amazon-style Lazada (southeast Asia). Founded at the start of 2012, Zalora now operates in eight southeast Asian countries (Hong Kong, Indonesia, Malaysia, Philippines, Singapore, Taiwan, Thailand and Vietnam), employs over 1000 and claims “annualised double-digit million USD revenues”. JP Morgan has invested across seven of those, including Hong Kong and Taiwan – it’s not clear which country operation missed out. 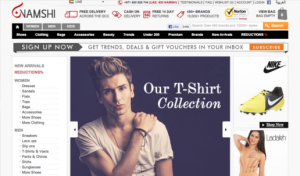 Zalora’s other investors, apart from Rocket Internet, include Summit Partners and Invus. Zalora is led by Mato Peric with reports Rocket Internet co-founder Marc Samwer is also involved in a wider push for the region. Meanwhile, in South Africa, Zando reports an investment believed to be a triple digit million rand figure (or double-digit million dollar figure). That company is led by Manuel Koser and Peter Allerstorfer (pictured above), started up in January and now employs over 200. According to Koser, speaking to South Africa’s Business Day, profit margins of up to 50 per cent before tax were a factor in JP Morgan’s decision to invest. In the third deal made public this week, JP Morgan and London-based Blakeney Management have together invested $20m in Dubai-based Namshi. That investment should restore some confidence in the region’s e-commerce sector, with the Samwers’ Amazon clone in Dubai, Mizado, shutting down operations after less than a year. Rocket Internet, the Berlin-headquartered incubator founded by brothers Marc, Oliver and Alexander Samwer in 2007, spans about 100 portfolio companies in 40 countries, and is known for rolling out copies of existing business models in new markets. Its main investor is Swedish investment bank Kinnevik, plus a relatively recent $200m investment from US billionaire Len Blavatnik’s Access Industries.